Please find some photos taken at this year's Halloween parties at the following link englishpool.net/event. 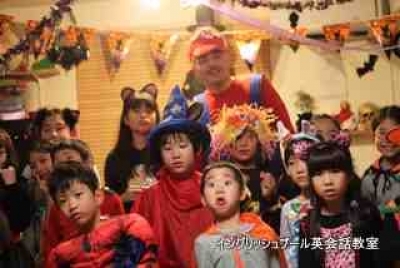 Thank you once again to all the parents who brought their children to last Sunday's Halloween Parties. I know it can't have been easy getting the children dressed into their costumes and then having to put on raincoats, rainboots etc. to brave the heavy rain. お疲れ様でした. Next year I promise NO RAIN!!! Well it will soon be the witching hour, and time to say goodbye to Halloween, pack up the Halloween decorations and stow them away for another year. A big thank you to all those who attended the parties on Sunday, they were a lot of fun and I'm sure the children enjoyed themselves. 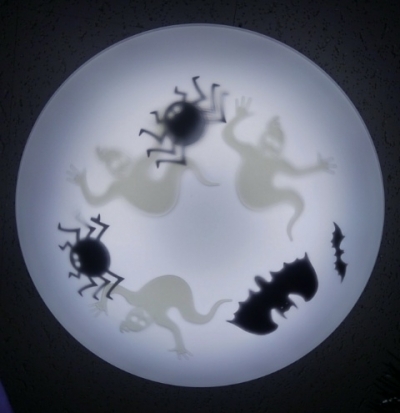 Hopefully soon I'll have some Halloween Party photos to share. 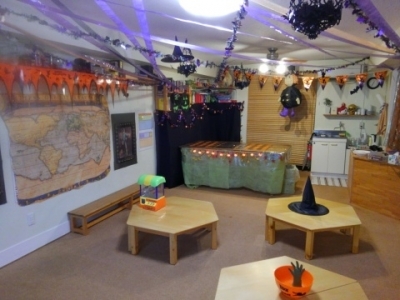 Almost ready for today's Halloween Party, and the classroom is looking spooky. It may be pouring down, but we're going to have the best Halloween parties ever. The students, and myself, have been big fans of the AGO card games almost since their release, seven(?) years ago. The students love the gameplay as it's as simple to play as UNO, and I love it because it gets children used to asking questions, and not just merely answering questions. 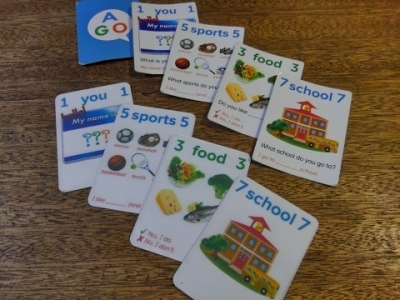 With this goal of becoming good question makers in mind I recently altered a pack of AGO Level One by removing the questions, the idea being that the children would have to think for themselves without any sample questions to read. The results have been spectacular, some of the questions the children could remember but where they ran up again question they really started to think for themselves...not always perfectly but with a bit of guidance they created their own questions and are well on their way to becoming good question makers. Hope the folks at AGO don't mind my alterations, and if you need a name for this version we are calling it AGO Clear!! 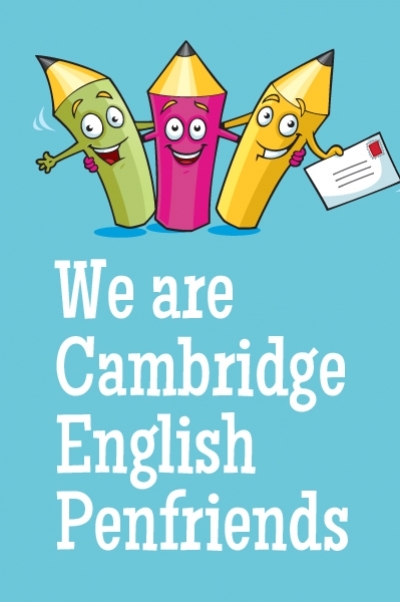 We've recently joined Cambridge English Penfriends. As the name suggests it's an updated version of the penfriend system. I'd been looking at giving our students more chances to actually use their English when I stumbled accross the Penfriends website, and I thought we'd give it a try with our upper elementary class first. The reaction from the students has been fantastic, and they really gave their best effort preparing their first cards to exchange. Looking forward to making our first match! This one had us guessing in yestersday's JHS class. 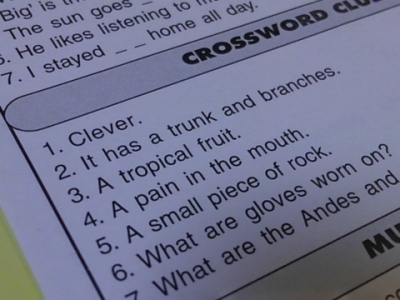 We were playing the ever popular Word Up by TEFL Games, and as one of the crossword clues the students had to name a tropical fruit beginning with the letter 'p'. Aside from the most obvious one, to our surprise there were another four possible answers...so the challenge was to name the other four...which we couldn't. Can you name five tropical fruits beginning with the letter 'p'? 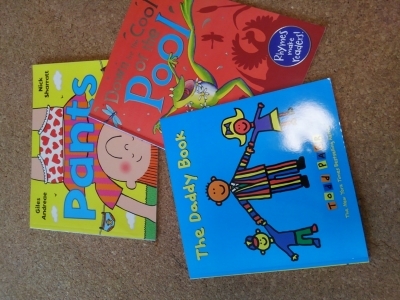 A big thank you to one of our older students for these three books she'd grown out of. As you can imagine they were an instant hit with the younger girls in the school. Remember, if you have any English children's books you no longer need we are more than happy to give them a new home! It's that time of year, still too warm to be autumn, the leaves have yet to change colour but the supermarkets have had their Halloween decorations up for the past month. So here at englishpool it's time to get in the swing of things and announce the 2017 Halloween Party. We'll be doing two parties on Sunday October 29th this year, the first from 14:30 to 16:00 will be for our Sprouts and Kinder students. 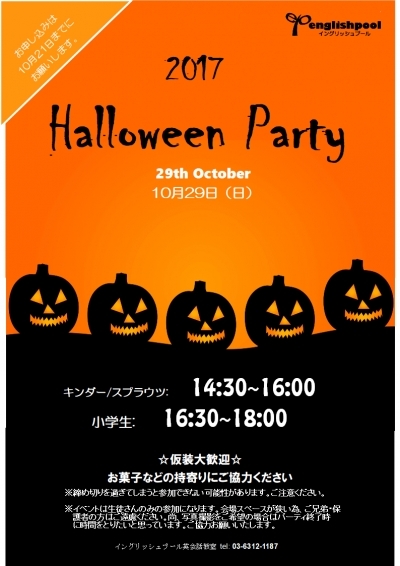 The second party, from 16:30 to 18:00, will be for our Elementary aged students. Still yet to decide on a Halloween costume for this year! Last week one of our fifth grade students suddenly came out with the phrase 'You have a computer', naturally I tried to expand on this snippet of a converstaion and we went on ask what we did on the computer, play games, do homework etc. 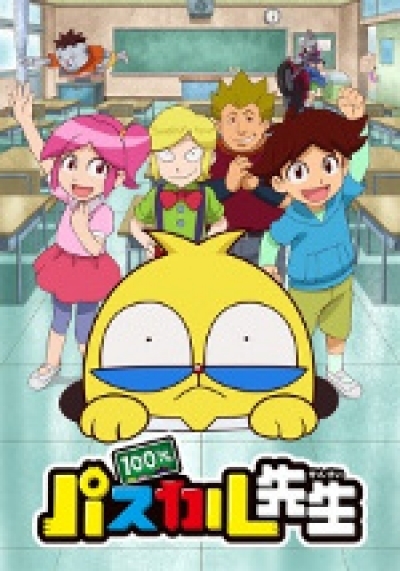 You can find Pascal's English at 9mins20s, so either skip to that part only or enjoy the whole show! As of the end of October it seems the video has been removed, apologies. 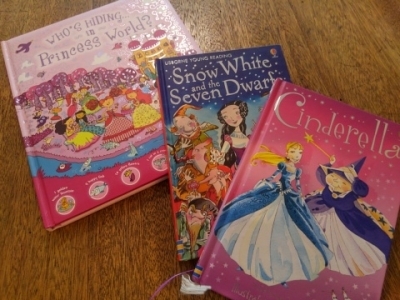 An ever popular theme with the girls, are books with princesses in them. 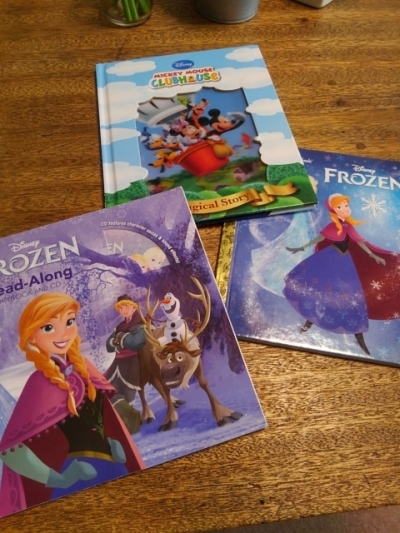 In fact, the few titles we have featuring princesses can often lead to tears among the younger students as they fight for who will borrow the book this week! So I was glad to find these three books to add to our school library. These are the books I will be reading from 12:10 today as part of the Shinjuku Kosodate Messe. Hope to see some of our students later. Just a quick reminder that tomorrow is the 8th Shinjuku Kosodate Messe. 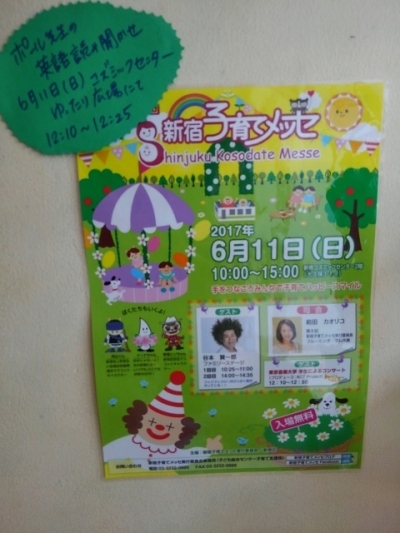 The festival of all things young children related will be held at the Cosmic Center in Shinjuku, from 10:00 to 15:00. ... well, not on the main stage but in the Yutari Hiroba where I'll be reading aloud a couple of books in English. I'm on-stage from 12:00 to 12:25, so if you can't face the lunch queue at McDonalds come and support me. I've just upgraded the school's library software to the latest version of Koha. Up until now we've been using Koha 2.2.9 which I installed 8 years ago! The new version(Koha 16.11.8), took a little bit of effort to install and configure but is streets ahead of our old version. And to celebrate the upgrade I've added some new books to the school library. 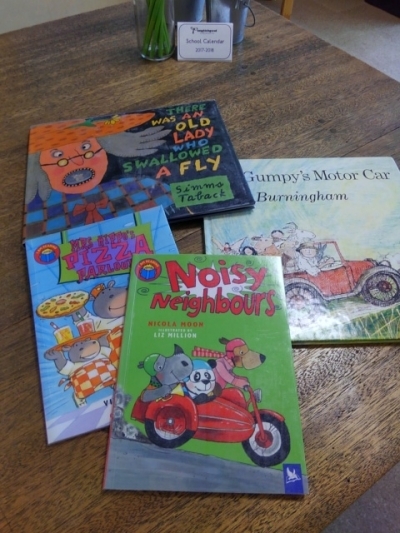 Titles added today Mr Gumpy's Motor Car , There Was an Old Lady Who Swallowed a Fly , Noisy Neighbours and Mrs. Hippo's Pizza Parlor .